The 5th Annual Picnic in the Park for The Riley Katheryn Foundation will be Sunday September 8, 2019. The 4th Annual Beer & Wine Tasting Charity Event for the John Drypen Foundation and the Riley Katheryn Foundation was Saturday March 2, 2019. Thanks to our generous sponsors, donors and participants- we raised over $15,000! The Riley Katheryn WOD Fundraiser at Grand Trunk Crossfit was Saturday Nov. 17, 2018. We did a memorial WOD (workout of the day) in memory of Riley Katheryn, stillborn at 30 weeks, and all of the babies we have lost to miscarriage, stillbirth and infant death. The Riley Katheryn Foundation 4th Annual Picnic in the Park was Sunday September 16, 2018. Thanks to our generous sponsors and all those who donated, we raised over $6,000! The 3rd Annual John Drypen Foundation and Riley Katheryn Foundation Beer & Wine Tasting Fundraiser was Saturday March 10, 2018. Thanks to our generous sponsors, donors and participants- we raised a total of $12,500! Merrick's Miracle Benefit Dinner, hosted by the Space Family was held on Sunday December 3, 2017 and raised $4,500 for The Riley Katheryn Foundation. Thank you to Laurel Space and her family and friends for their support! Our 3rd Annual Picnic in the Park was Sunday September 17, 2017. Thanks to our generous sponsors and the over 175 people in attendance, we raised over $6,300. to benefit The Riley Katheryn Foundation. This was held on Sunday April 30, 2017. They raised $4,500 for The Riley Katheryn Foundation! ​Benefiting ​The Riley Katheryn Foundation and The John Drypen Foundation (www.johndrypenfoundation.org) was March 18, 2017. We were happy to again work with another South Lyon charity to raise over $11,600! The 2nd Annual Picnic in the Park benefiting The Riley Katheryn Foundation was held Sunday September 18, 2016. Thanks to our generous sponsors and all those in attendance, we raised over $7,000. The Beer Tasting Charity Event Benefiting The Riley Katheryn Foundation and The John Drypen Foundation (www.johndrypenfoundation.org) was March 19, 2016. 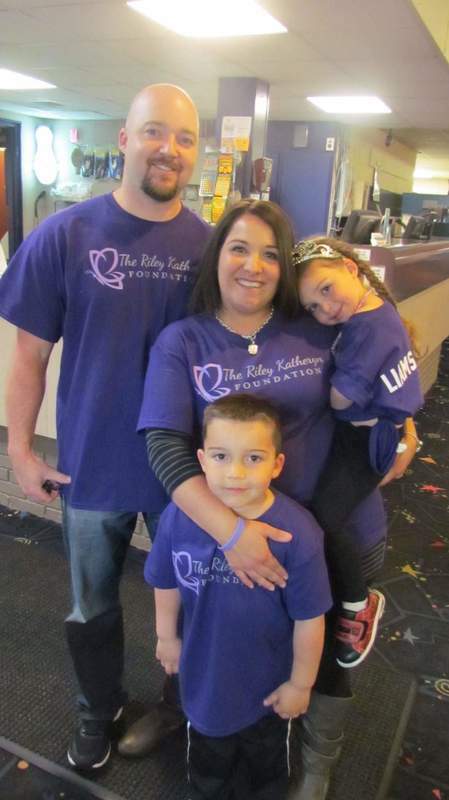 ​We were so happy to work together with another South Lyon charity to raise over $10,000. Our first fundraising event was the Inaugural Picnic in the Park on Sunday September 20, 2017! ​We raised $7,000 for The Riley Katheryn Foundation.